The World Health Organization defines health: “as a state of physical, mental and social wellbeing and not merely the absents of disease or infirmity.” This means that the responsibility that NPH has is very large and broad. Because many of the children arrive on our doorstep with poor prenatal care and are suffering from malnutrition, our job is endless in creating a healthy environment for their full potential. Some of our children are unable to reach this because of the permanent and long-lasting health damage that they encountered during their first years of life. We are then limited in what we can do, preventing exacerbations or complications of their current chronic status. Prevention is the best medicine, thus our programs and projects are mostly prevention oriented and curative when necessary. The health programs at NPH are usually far ahead from almost all the government local health systems. We take in account cultural and background conditions and intervening from a comprehensive and integral perspective, otherwise we will fail to make positive and sustainable changes. NPHI Medical Services works hand in hand, based on the goals the local staff establish each year. The report card for 2013 has been an extraordinary and successful year, thanks to the cooperation from local staff, senior consultants and volunteers working in the health arena, and the amazing trust and support fundraising offices put in the health departments in all the countries. Public Health – NPH health staff at the local level is always reinforcing prevention measures such as hand washing, personal hygiene, fumigation, water testing, window screens, managing waste, and being on alert for any outbreak. In 2013, we had several cases of Dengue in various countries, Hepatitis, Leptospirosis, Mumps, varicella and salmonella. All cases were well managed. Vaccines – After four years of an intensive immunization catchup campaign, in most of the countries and especially in Haiti, the immunized status of the NPH population is surpassing 80%. This has been thanks to the support of NPH USA, NPH Italy Francesca Rava Foundation and Vacunas Solidarias Organization. For 2014 we will be able to do immunization campaigns thanks to a new grant from Vacunas Solidarias. 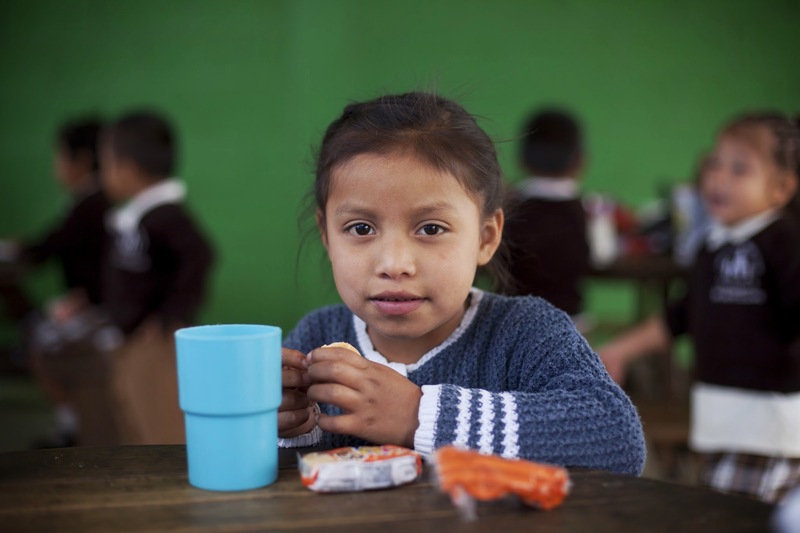 Nutrition, Growth and Development – Every home strives to provide the adequate and necessary nutrients through the food to all the children, including food from animal sources, rich in iron to protect their physical and mental ability and to prevent anemia. Most of the NPH homes have or are in process of developing a special program with additional nutritious food. Mental Health – Every child has a basic mental health assessment upon entrance performed by the psychologist and depending on the outcome, they enter various support therapies. HIV Program – We currently care for 57 children living with HIV. They have regular appointments with the national HIV program where they receive ARV drugs. We also provide the additional care needed such as emotional support, adherence to treatment and additional required tests to strengthen the quality care that national programs are not able to supply. When a child needs a second or third line of treatment, which is not possible to get from the local HIV program, NPH has a lifesaving outstanding resource and support from Aid for Aids, a non-for-profit organization based in New York. Medical Brigades and Senior Experts – In addition to our local staff and local specialists, the care of NPH children is complemented by several recurring brigades and senior experts available to give advice and recommendations. The dentist in NPH Mexico received the support of the University of North Carolina, as well as two ophthalmological teams who also brought glasses. In Nicaragua, we counted with the support of a Minnesota team and Spanish group. In the Dominican Republic we had the Arizona University brigade, who worked in the surrounding poor communities where extreme poverty and lack of healthcare is rampant. In Honduras and Guatemala, nurses received training to improve their work and continuing education on different subjects thanks to a senior professor licensed nurse from Spain. Electronic Medical Records –The EMR project allows NPHI to receive reports and information in real time and will save time for local staff. We hope to fully complete the project in 2014. Policy Development – It is important to have clear rules and regulations through policy development. This year we updated our policy regarding children with disabilities, health insurance for volunteers, and procedures when a child with chronic conditions leaves the home. Quality medicines is another front we are working on for the safety of the patients. Counterfeit drugs is a multimillion worldwide business, with great penetration in developing countries. We always look for secure and affordable drugs. Patient safety is a priority and we always count on the expertise from a pharmacist with experience in developing countries. Thank you all for your trust and love for the NPH Children.